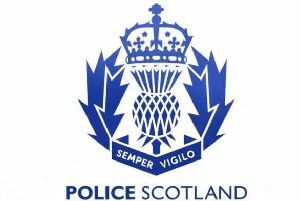 Officers from the Formartine Community Policing Team are appealing for information following two break-ins to business premises at the weekend. The first incident took place at around 9.10pm on Friday, July 13, at an industrial yard at Orrock, Whitecairns. Thankfully nothing was stolen due to the individuals involved being disturbed. A black Volvo 4x4 vehicle, possibly a 2017 registered XC90 model, was seen in the area around this time and officers are keen to speak to anyone who knows the identity of this vehicle or its owner. Anyone with information is asked to contact Police on 101 using ref. no. CF0170550718. Meanwhile a business at North Mains Quarry, Pitmedden, was also broken into and various items stolen. Again, officers are keen to speak to anyone who saw anything suspicious in this area across the weekend to get in touch using ref. no. CF0171970718. Sergeant Steven McDonald said: “There is nothing at this stage to suggest these incidents are linked, however we are keeping an open mind given the close proximity.